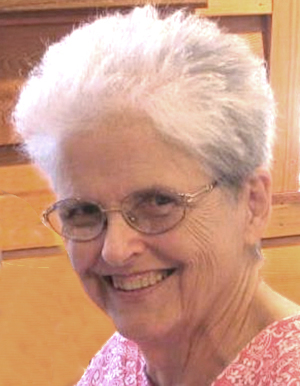 Obituary – Beier, Lena Bell (Knight) « Perry High School Alumni Association, Inc.
F.T.A. 51-53, Junior Play 51-52. Lena Bell Beier, 72, of Perry, Oklahoma was the daughter of William Henry and Rosalee Anna Moran Knight. 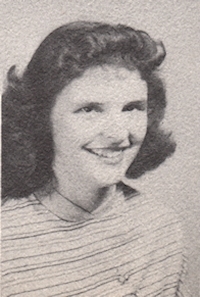 She was born June 5, 1936 at Perry, Oklahoma and died Monday, July 14, 2008 at Green Valley Nursing Home in Perry. On January 27, 1958 she and Emil Reinhardt Beier Jr. were married at Newkirk, Oklahoma. Lena Bell was employed at The Perry Daily Journal for 45 years before retiring. She and her husband took care of their parents in their later years. She was a member of Zion Lutheran Church and sang in the church choir. Lena Bell loved spending time with her children, grandchildren and great-grandchildren. She enjoyed playing cards with her friends and traveling. Lena Bell also enjoyed watching the OSU Cowboys play. Funeral services will be at 2:00 p.m. Thursday, July 17, 2008 at Zion Lutheran Church, east of Perry. Pastor Dan Thimell will officiate. Interment will be in Grace Hill Cemetery at Perry. Services are under the direction of Brown-Dugger Funeral Home of Perry. Memorials may be made to the American Diabetes Association in care of Brown-Dugger Funeral Home, 1010 N. 7th Street, Perry, Oklahoma 73077. Lena Bell is survived by one son, Steven Beier and his wife, Tammy, of Bartlesville, Oklahoma; one daughter, Alvina Shearer and her husband, Mark, of Perry, Oklahoma; eight grandchildren, Stephanie Wells and her husband, Christopher, Emily Beier and Sherri Beier, all of Bartlesville, Oklahoma, Christy Shuman and her husband, Jimmy, of Stillwater, Oklahoma, and Brandon Shearer and his wife, Edie, of Oklahoma City, Oklahoma; three great-grandchildren, Brandley Shuman, Christopher Shuman and Carter Wells; and two brothers, Henry Knight and his wife, Ferne, of Fayetteville, Arkansas and Raymond Knight and his wife, Patty, of Tulsa, Oklahoma. She was preceded in death by her parents, Bill and Rose Knight, and her husband, Emil R. Beier Jr., who died on March 12, 2007.